Most people or Even Lagosians like me actually look at the three alphabets on Nigerian number plates and wonder what they stand for. Actually they stand for Local Governments or their headquarters. 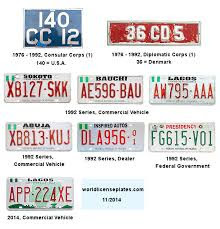 Since Lagos is one of the most popular cities (If not the most popular), lets start with Lagos number plates.